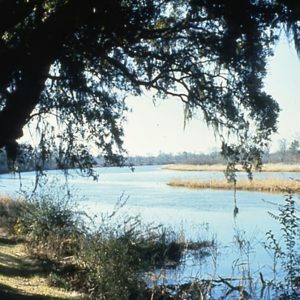 This 5,100-acre historic district includes extant buildings, structures, and ricefields associated with twelve rice plantations along the Pee Dee (Hasty Point, Breakwater, Belle Rive, Exchange, Rosebank, Chicora Wood, Guendalos, Enfield, Birdfield, Arundel, Springfield, Dirleton) and five rice plantations along the Waccamaw (Turkey Hill, Oatland, Willbrook, Litchfield, and Waverly). These plantations were part of a large rice culture which flourished from 1750-1910. Included also are four plantation houses (at Exchange, Rosebank, Chicora Wood, and Dirleton), two rice barns (at Hasty Point and Exchange), collections of plantation outbuildings (at Chicora Wood and Arundel), a rice mill and chimney (at Chicora Wood), and historic ricefields with canals, dikes, and trunks.